Oh, the things we can learn from fiction! It just goes on and on and on…! by Beverly Lewis, is an excellent example! I didn’t like vaccines. Sure, they are sometimes useful and could even save your life, but to my 16-year-old self, they hurt and they involved needles. Yuck. So, a few months later, when my 2 and 4 year old brothers came down with Chicken Pox, I was thrilled! Much to the joy and relief of my family, I caught it and was still young enough to have an easy case! My family happily welcomed this disease, knowing that it was mildly unpleasant but worth it because we’d most likely be protected for life! Well…roll forward 25 years, and BAM! 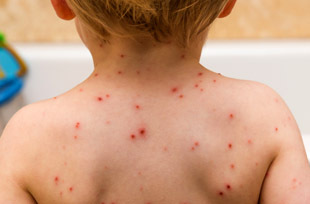 People are scared of Chicken Pox. In the end, they had the BEST Chicken Pox Party ever! PreviousThe Hunt for Actopian Fiction! !